Welcome to Save Babies Through Screening Foundation. 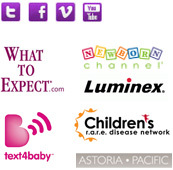 The only non-profit organization that advocates for comprehensive newborn screening. Explore and learn—it could save a baby's life! For new parents nothing is more exciting than being able to take their brand-new baby boy or girl home from the hospital for the first time. Conversely, nothing is more devastating than learning a few months, or years, down the road that a child has a terrible disease that could have been treated had newborn screening taken place before the baby left the hospital. Unfortunately, there are too many stories from the past where parents and their children have lived through such devastation. But thanks to organizations like Save Babies Through Screening, Inc., the tide is turning for the better. 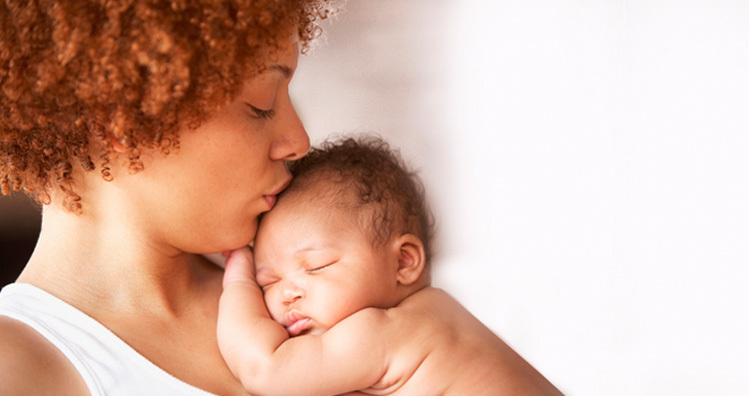 Save Babies Through Screening, Inc. is a parent-run, nonprofit foundation dedicated to making sure every newborn baby in the United States undergoes comprehensive and effective screening for a variety of diseases that are usually hidden at birth. The Foundation pursues its mission through the education of parents, pediatric healthcare workers, lawmakers, and institutional policymakers. Our educational programs emphasize the importance of newborn screening through comprehensive testing to identify disorders and initiate treatment promptly when necessary. One of our most important functions is to effectively, yet compassionately, explain to parents the requirements of newborn screening that might be mandated by law. Doing so requires an approach that thoroughly educates parents while at the same time does not frighten them. When parents are educated about and supportive of newborn screening the chances of it being done properly and effectively by healthcare workers increases substantially. Education empowers parents to stand up and be the best advocates for their children, as well. There are a number of potentially devastating diseases that can be present in a newborn but hidden at the time of birth. These diseases, if undetected by newborn screening, have the potential to cause medical problems as the baby grows, and severely alter a life that could have otherwise been normal. One example of such an illness is phenylketonuria (PKU). PKU is a condition in which the body is unable to break down a building block of protein (an amino acid) known as phenylalanine (Phe) because a specific enzyme is lacking or present in levels too low to be effective. When this amino acid builds up in the system it can cause problems with the central nervous system, brain damage, and mental retardation. On the other hand, when the PKU is discovered through newborn screening, a child can be treated using a low protein diet and special medical foods designed to deal limit the amount of Phe consumed. In most cases this allows the baby to grow up normally, enjoying a life free of mental retardation and central nervous system issues. While PKU was the first disease to be screened for in newborns, there are other diseases equally as serious that are now included as part of the testing. State regulations, however, vary so that some states require screening for the federally-recommended panel of 30 disorders while others screen for up to 50 conditions. The mission of Save Babies Through Screening, Inc. has been to encourage all states to include at least the 30 diseases now considered standard for newborn screening. Save Babies is now working to support research and addition of new screening tests to the recommended panel, and to encourage all states to screen for any condition for which there is a proven screening test and established benefit from early diagnosis for t he patient and family. Examples of some of the disorders that are included in the recommended panel are medium-chain acyl-CoA dehydrogenase deficiency (MCADD), cystic fibrosis (CF), congenital hypothyroidism (CH), congenital adrenal hyperplasia (CAH), and congenital deafness (HEAR). More information about these conditions can be found at www.savebabies.org. According to a 2005 report from the American College of Medical Genetics (ACMG), there are a minimum of 30 conditions that should be included in the core screening. They suggest an additional 36 possible defects that should be screened for under certain circumstances. There are now a handful of states that screen for up to 50 different diseases. 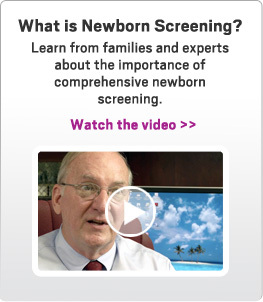 As far as babies are concerned, the newborn screening process is very simple. A healthcare worker simply draws a few drops of blood by pricking the infant's heel, usually within 24 to 48 hours of birth. That blood is then sent off to a certified newborn screening lab which analyzes it for a number of disorders including metabolic disorders, hormonal issues, blood disorders, and more. Amazingly, these high-tech labs need only a small sample from an infant in order to run their tests. Once the screening is completed, the results are sent either to the child's pediatrician and may also be sent to the local specialty care center. A "normal" result indicates that the infant is not likely to be affected by any of the rare diseases screened for by the lab. An "abnormal" results means that there is an increased risk that the child might have the condition in question. At that point, further testing is required to confirm whether or not there really is a disease present. If the confirmation tests are positive, follow-up and treatment will begin immediately. In addition to the blood tests, most states screen for hearing loss before the baby leaves the hospital. If this is not something done in your state, you should still have your baby tested as early as possible. Hearing issues can be isolated, just affecting the ears, or they can be part of more complex conditions. Either way, parents will not know if they don't have their child's hearing tested. Newborn screening can quite literally save a child's life, so there is no reason not to do it. 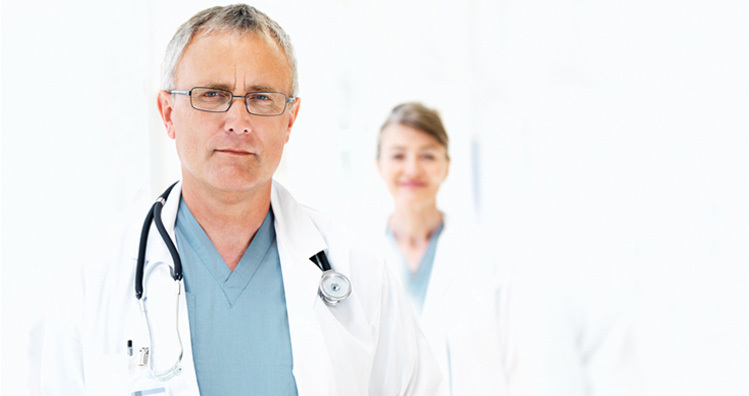 The procedure is very simple and takes only a moment of time to get the blood sample. 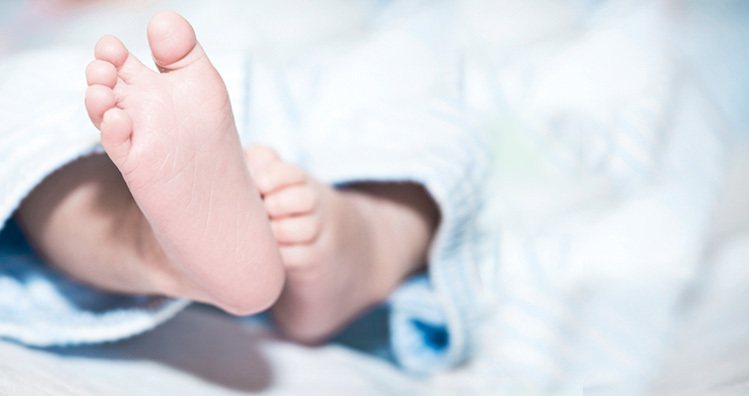 As far as your baby's discomfort is concerned, the simple prick of his or her heel is minor in comparison to the lifelong suffering that might be endured if one of these rare diseases is indeed present. If you are the parents of a baby on the way, you're encouraged to find out all you can about newborn screening. Find information at savebabies.org or call us if we can be of additional assistance.